The Youth Program is designed to give meaningful, inspiring, fun and entertaining events while promoting brotherhood through bonding and team building. 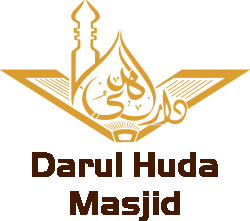 Whether you have young children or are in college yourself, Darul Huda Masjid has a program for you! Our programs are centered around education, identity development, social and community service. Tafseer is a body of commentary and explication, aimed at explaining the meanings of the Qur’an, the central religious text of Islam. Tafseer works can broadly be categorised by its affiliated Islamic schools and branches and the era it was published, classic or modern. Modern tafseers listed here are the work of later than the 20th century. Tajweed is an Arabic word, which literally means to beautify or adorn something. In the context of the recitation of the Quran Tajweed refers to a set of rules for the correct pronunciation of the letters with all its qualities and applying the various of recitation. Every Second Saturday of the Month which is from Maghrib to Isha Salat in the summer and after Isha salat in the winter.